Thank you for taking the time to visit this GoFundMe page. 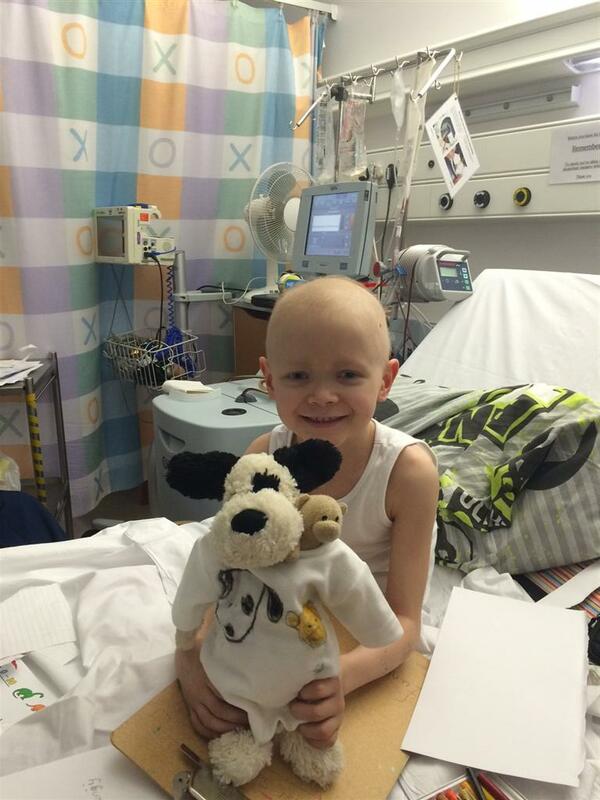 Harry Banks is a ten-year-old bubbly, smiley, very cheeky, but completely adorable boy. 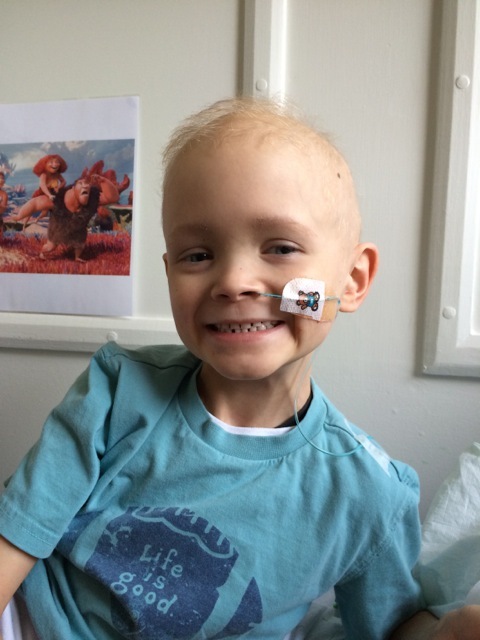 In late 2014 we were given the devastating news that Harry had Stage 4 Neuroblastoma, a very rare and aggressive children’s cancer. 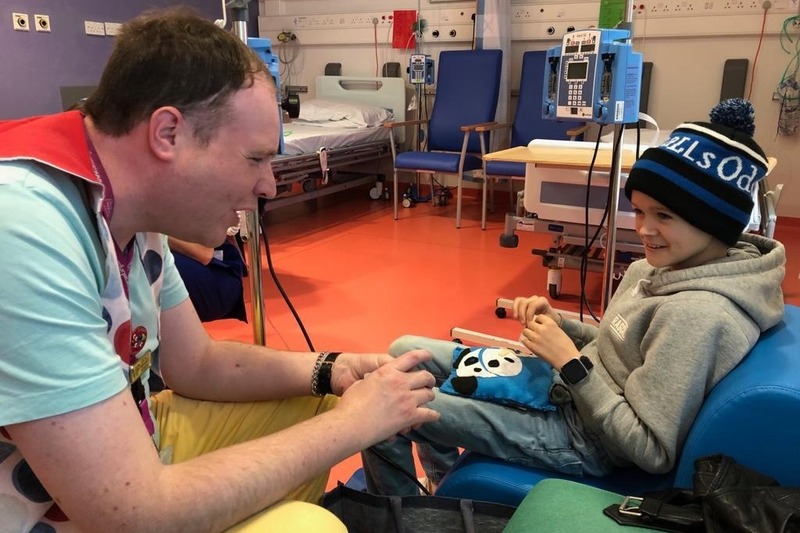 After bravely enduring two years of intensive chemotherapy, continuous investigations, major surgery, high dose chemotherapy, radiotherapy, immunotherapy and more, Harry had two and a half years in remission and rung the bell to mark the end of his treatment, although we knew he would continue to be monitored. 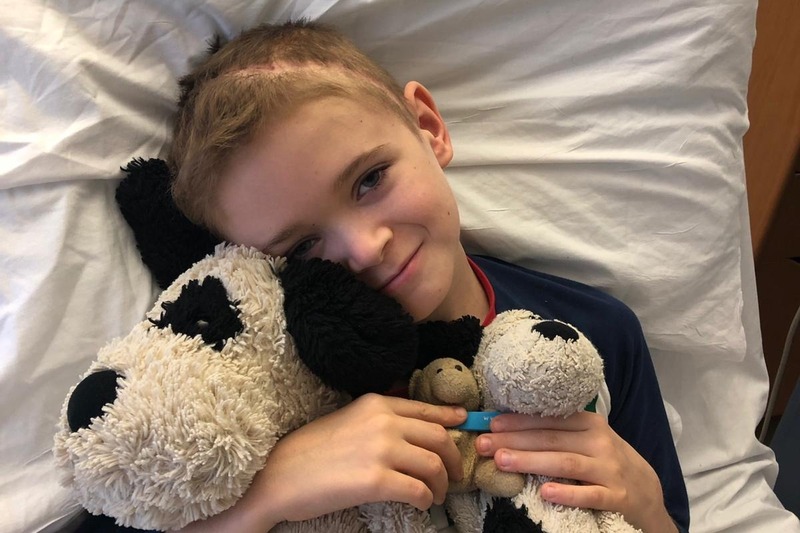 Devastatingly, once again our world has been turned upside down – in November of 2018 we were given the distressing news that he has had a neuroblastoma relapse to the CNS (central nervous system) and had to have an emergency operation to remove a tumour from his brain. Neuroblastoma has one of the lowest survival rates of all childhood cancers, and a CNS relapse is so rare – it’s the worst. Harry desperately needs your help in any way you can. 'Mad About Harry' was set up in 2014 to raise funds for Harry in the event he would need a ground-breaking trial abroad. If the fund was not going to be needed then once he was no longer at risk, the fund would be donated to help other children suffering from this horrible condition. Mad About Harry now aims to raise £500,000 for a ground-breaking trial at Memorial Sloane Kettering in New York or Barcelona. The NHS has been fabulous with the care and treatment they have been able to provide for Harry so far, but he is now in unknown NHS waters. This privately funded treatment is the only lifeline available. Please help us raise £500,000 by March in any way you can, thank you for your help it means so much to us. x A HUGE thank you from all Harry’s family and friends who really really don’t want a world where children go through the journey that Harry is treading, it means so much to us and to them. So Harry has managed to have a few days at school on and off, some days he is just too tired, and others we have various hospital appointments, but if he can go he usually wants to, which is great for him. Harry's bloods have been quite low though so we have to be careful, and the more treatment he has the longer it takes for his bloods to recover. We have ongoing discussions with Harry’s consultant, Barcelona and MSKCC but no firm decision as yet. We have however been told that the 8H9/Omburtamab is definitely available in Barcelona now and Dr Mora has already had his first patient there, however Harry is number 4 on a waitlist so there is an unexpected delay if we go. We have also learned that Harry will need to have a high dose chemotherapy, as part of the protocol of the trial, before we travel, which of course is worrying. Russ and I will finally get the online consultation with Dr Kramer at MSKCC that we have been waiting for and then we will make plans. If it is not detrimental to Harry to wait a few more weeks then to go to Barcelona is I think our preference, and we are happy now we have spoken in detail with Dr Mora, but ultimately we HAVE to do the right thing for Harry. It continues to overwhelm us how many events have taken place in support of Harry and we can’t thank everyone enough for the kind words, the support, the generosity and goodwill from every one of you, near and far. Harry will get the treatment he needs and hopefully we can help others too. The MAH Trust will ensure the funds are used in the correct and best way, and thank you to Simon Stone from Kingsley David Solicitors too, for your help with this. As always thank you for reading and caring so much, I will try to keep you all updated when I know more. 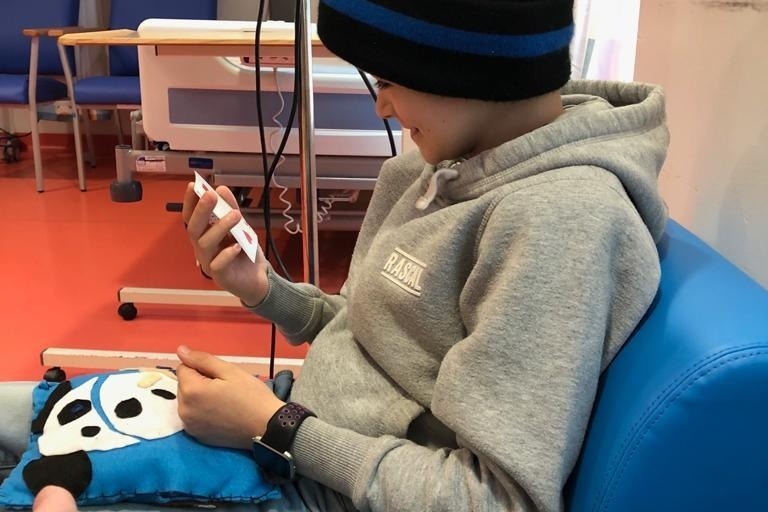 I had a fantastic weekend with the boys to celebrate the end of radiotherapy and some clear results following the latest scans, Harry is currently showing no evidence of disease (NED) which is such a HUGE relief and means we can definitely move forwards and he will be eligible for the trial abroad. Harry was looking forward to a week of ‘normality’ with no scans, tests or hospital visits this week and time to be in school with his friends. Sadly this was short-lived. Harry and I had to come into MK hospital last night as he fell unwell with a high fever quite suddenly. He is on antibiotics although the cause has not been identified yet so they will keep him in for now. The highs and lows can come about so fast, it frightens me. Everything frightens me. I think that only those that have been in this situation can possibly understand the burden. The enormity of it all is overwhelming - we sacrifice our privacy and dignity to ensure that the fundraising could be a success, we open our hearts to the world and tell everyone how we are feeling, the good and the bad moments are all documented, whilst all the time we are trying our hardest to look after our sick child and to give them the best care that we can, the time and attention that they deserve and need, along with the siblings too. Work has to be put on hold, the stress that goes with that, for now and the future. You can’t plan anything outside of the hospital plan as things can change in an hour or less, and you go when they say to go, holidays are only a dream and cannot be planned yet either. Above all the worst part for me is the constant stress and anxiety of knowing what your child is going through and how terribly unfair it is. It broke my heart when Harry said as he cried to me this week that to get cancer once was really hard but to have it twice and to go through it all again is just not fair! And it isn’t! Oscar always knows what to do in a situation like this - he came into Harry’s room and made us both smile. So this last week I have also been getting closer to working out Harry’s treatment plan with Russ and all the professionals/hospitals involved. The relevant hospitals have all the information they need and most of our questions have now been answered, which has not been easy! We have though finally heard that Barcelona is in fact going to be recruiting patients on to the 8H9/Omburtamab trial in time for Harry, which is to us really good news as now we have the choice. Thanks to each and every one of you who have helped take the financial burden away, for that we are truly grateful. We are still waiting for a full consultation with MSK, and then Russ and I will make a decision, and it will probably all have to happen fairly quickly after that. I still have to take one step at a time, for me it's the only way to deal with the enormity of it all. Thank you for continuing to support Mad About Harry and for all your wonderful comments. It’s been a very mixed week for Harry, he’s had both radiotherapy and chemotherapy all week and coped really well until Friday. We had been managing the sickness and he’d been having lots of fun when he was home but it builds up over time and he felt pretty rubbish by Friday. It breaks my heart to see my boy feeling and being so poorly but Harry takes it in his stride every time, he amazes me. Oscar is also a real support and knows how to help or what to do for Harry and me. No children should have to do this though, I feel so angry at times that mine do, and wish I could take the pain and sadness and worry away from them both I do my best to give them everything I have in me to make them happy and feel loved and safe, that’s all I can do. I suppose that’s what any parent would do..
Harry was determined though to be well enough to meet Dele Alli yesterday when we got home, after the day he had had, Harry’s strength was ridiculous! Dele kindly went out of his way to come all the way to our house and meet Harry, Oscar and a few of their friends. That was a real highlight for the boys and I am so grateful Dele made the time for Harry and Oscar, despite us having cancelled on him a couple of weeks ago when Harry had flu! The support for Harry has been incredible. Offline and online donations combined have now reached £500k. There are many wonderful events planned which will push this figure still higher. A huge thank you for your support and donations that have helped us achieve this for Harry. 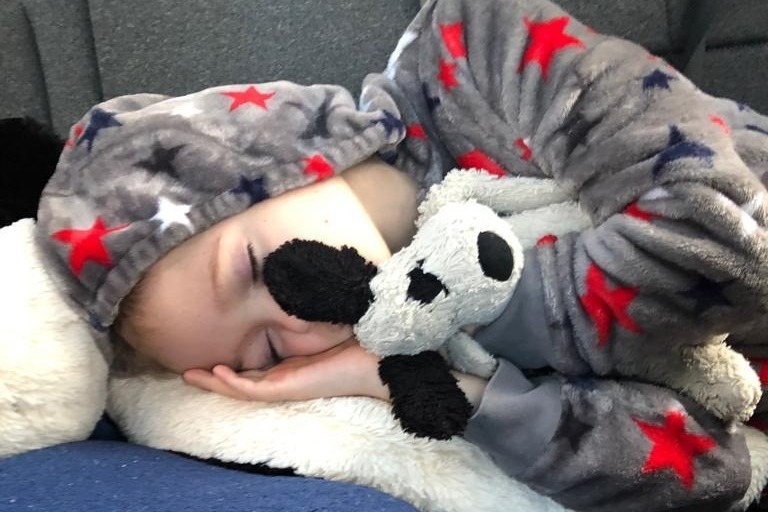 Your support has resulted in Nina and Russ being able to focus on the most important thing now which is looking after Harry and preparing him for the difficult treatment ahead. We will continue with all planned events and keep the campaign live, as all monies raised will support any further treatment Harry may need or help other children and the fight against Neuroblastoma. All funds raised have been placed in a trust to be used for Harry’s current and future treatment and associated costs. At a point where no further treatment is required, or can reasonably be expected, the trustees and the family will agree how best to apportion the funds as set out on the website: neuroblastoma research; and children and their families that are affected by this cruel disease. Thank you for all your messages of support and for making a difference to Harry’s tomorrow. Is there no way to add gift aid to these donations? i am also battling with a sick child. please help me to make her life worth smiling about. Rally for Riley. please help me get my kids back home so they don’t end up somewhere a kid should never be. please I beg you help me help them. i take spends for a poor cat.. The children and staff at Ducklings preschool on Springfield have been coming into preschool wearing their PJ's this week. Our wonderful families have been giving in donations all week. Together we have raised £63. Faith is a great cure and there is plenty here. Good luck little fella: we're all with you.